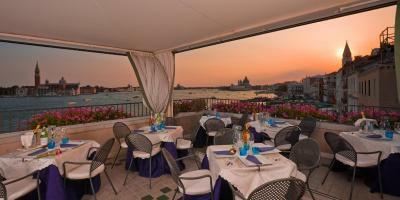 Lock in a great price for Locanda Vivaldi – rated 8.8 by recent guests! Staff was very attentive, location was great, it was right in front of a water boat transportation. 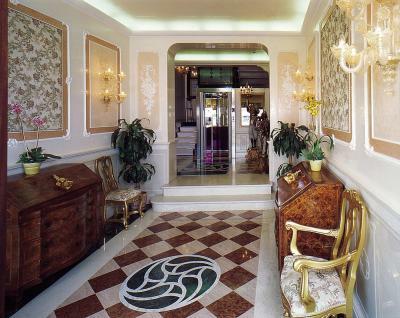 The hotel is beautiful, I would stay there again! The Staff. The location. The ambience. And the cleanliness. 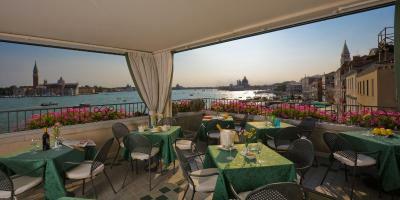 Great location, and beautiful view of the lagoon, and the room was clean. We had two rooms both with en suites, and they were amazing! Our bathroom was huge and it had a tub that was a jacuzzi! The bed was like a cloud, the pillows were soft and fluffy. There were extra blankets in the wardrobe which we didn't need because the rooms were so well heated. The kids enjoyed their spacious room and bathroom albeit smaller than ours, but they were very happy too. 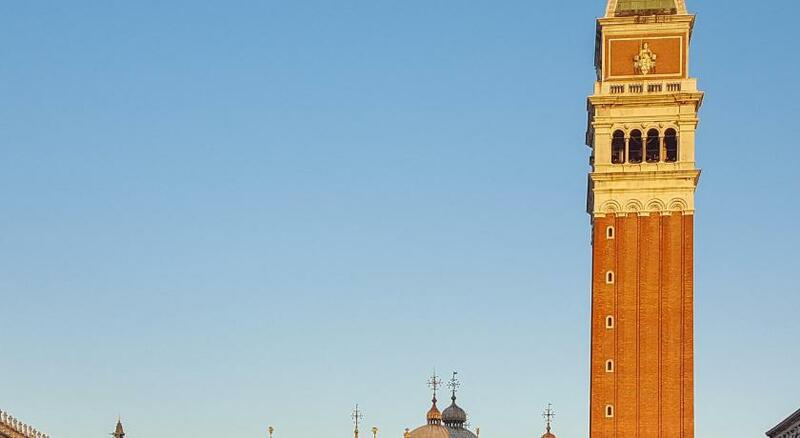 The staff was friendly and the concierge was extremely helpful; he advised us where to go and eat, what to do in Venice, and he arranged a water taxi to take us to Murano the very next day. 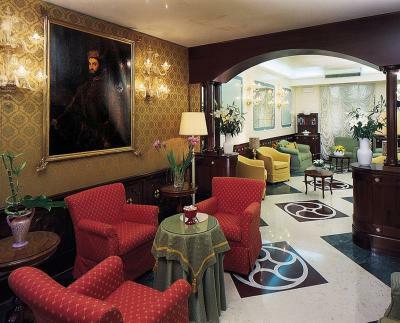 I have stayed at Locanda Vivaldi several times in the past few years. Each and every time I am more than pleased with the comfort, the location, and the special services that I receive. 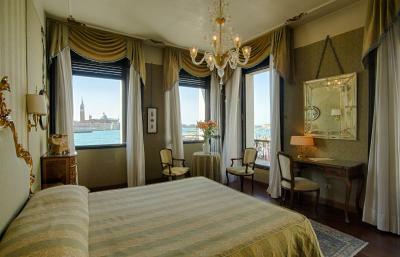 I have stayed elsewhere in Venice and, by far, Locanda Vivaldi has become my first choice. ..... Thank you to Tomasso, Daniel, Stefano, and Roderick. The location was perfect! The staff was excellent. The room was clean and the bathroom was large. The room and view was perfect! We had a private terrace with a view of the lagoon. 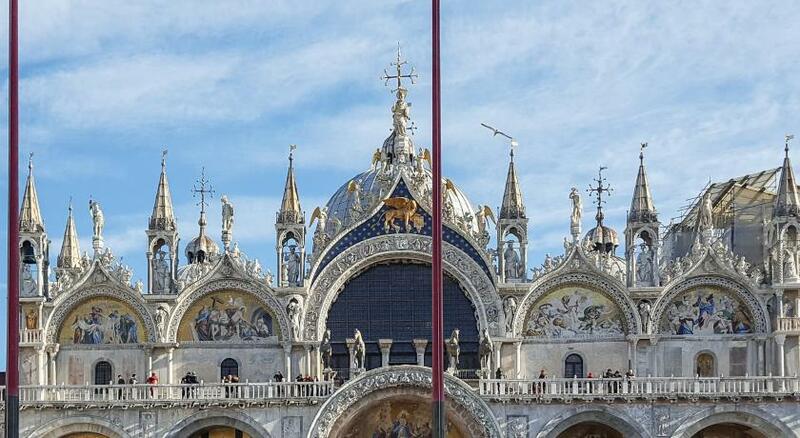 The location was awesome...just a few minutes’ walk to the Piazza is San Marco, the Doge’s palace, etc. We added the breakfast option, which is recommended. The breakfast was delicious. The hotel location is exceptional. 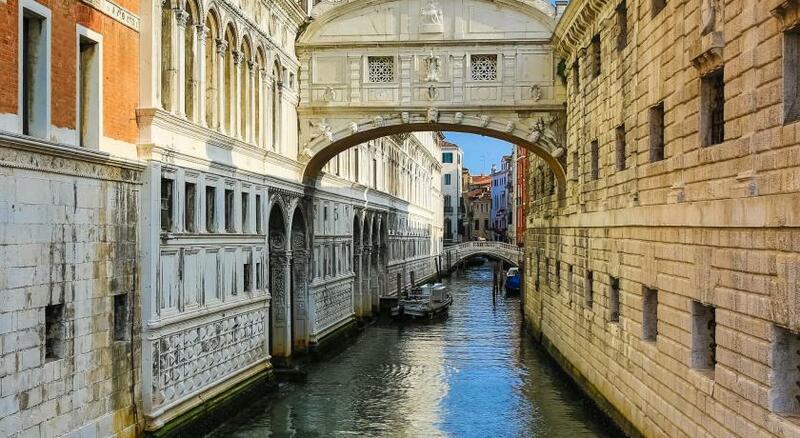 It is a 3 minute walk to Piazza San Marco. The water taxi took us right to the door of the hotel. The breakfast was perfect. A bit of everything. The staff was so kind and helpful. The hotel was charming and cozy and beautiful. We were upgraded to a room with a view. It was magical. Locanda Vivaldi This rating is a reflection of how the property compares to the industry standard when it comes to price, facilities and services available. It's based on a self-evaluation by the property. Use this rating to help choose your stay! 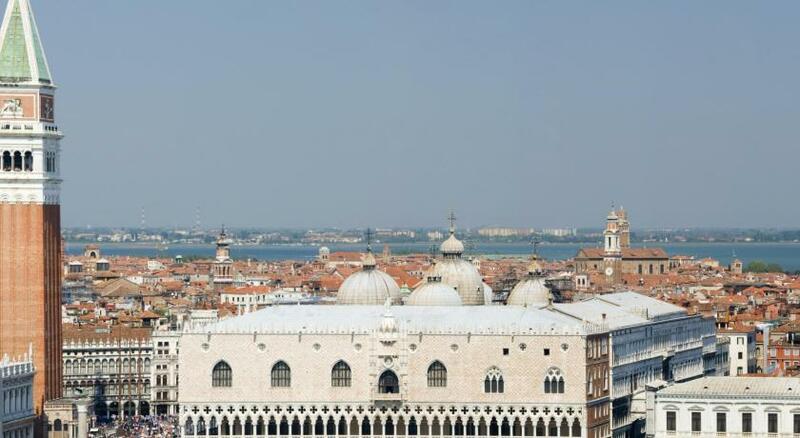 Just a 5-minute walk from Saint Mark's Square, Locanda Vivaldi offers a rooftop terrace with panoramic views out over Venice's Lagoon. Accommodations are air conditioned, and Wi-Fi is free throughout. 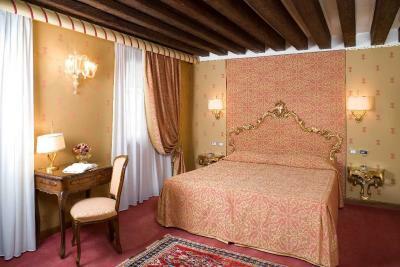 Elegant rooms at the Locanda include satellite TV, a minibar, and private bathroom with hairdryer plus toiletries. Some rooms feature wood-beam ceilings, a spa bathtub, or a balcony. The summer rooftop restaurant specializes in traditional seafood dishes for dinner, and overlooks St Mark's Basin. 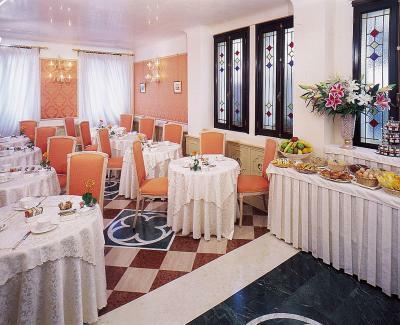 A buffet breakfast is served each morning. 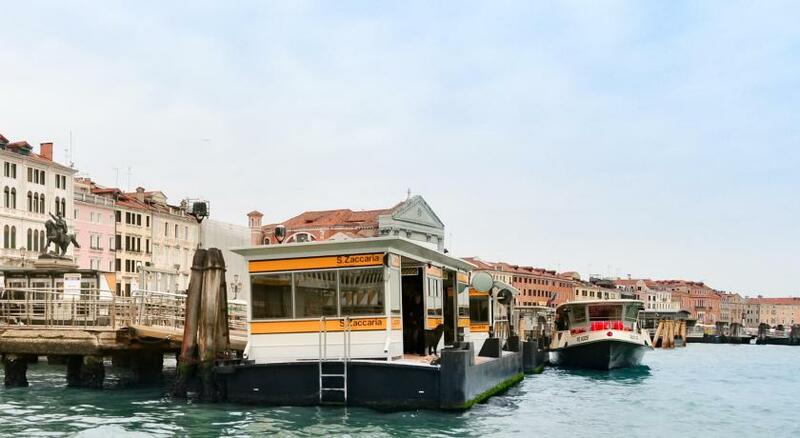 The property has its own private dock and is about 300 feet from the San Zaccaria Vaporetto water bus stop, linking with Venezia Santa Lucia Station and the Tronchetto parking lot. The staff is always on hand to provide tourist information. 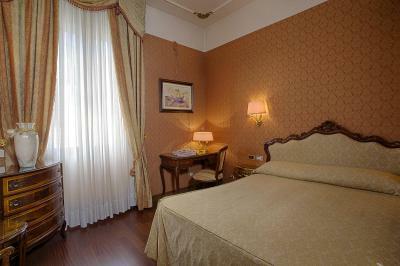 When would you like to stay at Locanda Vivaldi? With views of the Rio dei Greci Canal or the internal courtyard. Offers air conditioning and free Wi-Fi. 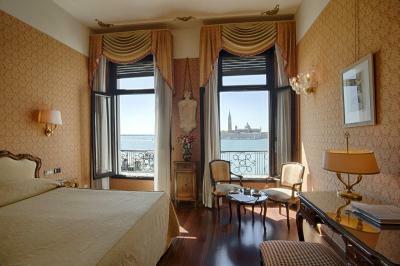 Large room with a spa bathtub and a panoramic view of St. Mark's Basin. Offers air conditioning and free Wi-Fi. Overlooking St. Mark's Basin, this large room comes with a spa bathtub. Includes air conditioning and free Wi-Fi. Large suite with 2 bedrooms, an additional bathroom with spa bathtub, and a balcony overlooking the canal. Includes air conditioning and free Wi-Fi. This twin/double room has a spa bath, mini-bar and bathrobe. House Rules Locanda Vivaldi takes special requests – add in the next step! One child under 4 years is charged EUR 20 per person per night in a crib. Locanda Vivaldi accepts these cards and reserves the right to temporarily hold an amount prior to arrival. Please note that the restaurant is open from May until October. The bed was not comfortable and the mattress is solid like a rock. The room in the first floor has no privacy when you open the window and outside is very noisy. The A/C is not working (hotel policy). The Wi/Fi is poor. No opportunity to make a hot drink in room. Some may view cooked breakfast choice as limited. Simply Nothing. Every thing was perfect. Sound proof windows to rooms facing the lagoon would improve the quality of the stay at this hotel. Tea and coffee facilities in the room would be appreciated. Cooked breakfast was limited in range. Comfortable rooms, though with slightly outdated decor. The views and location more than make up for this though. The breakfast wasn't included in the price, and the room was very warm and we weren't able to turn the heat off.